Press and Journal Gold Award 2017 winner! 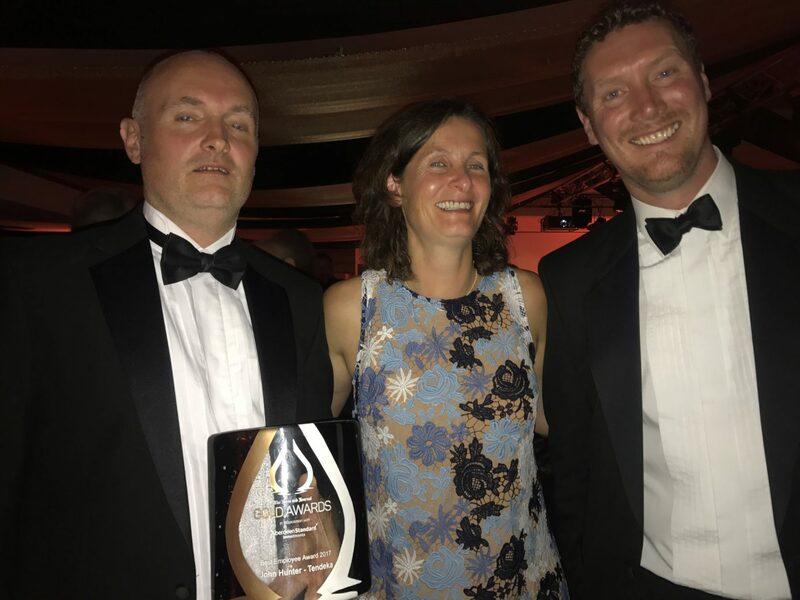 We are delighted to announce that our Advanced Completions Director John Hunter (below left) has won the Press and Journal Gold Awards 2017 category of Best Employee of the Year. This special event took place at the Marcliffe Hotel, Aberdeen, on Friday 8th September, as was hosted BBC presenter Steph McGovern. Celebrating the win with John was our CTO Annabel Green and Engineering Manager Damien Patton. Well done, John – well deserved!